During the general session of the CAI National Conference in San Diego on April 19, the CAI-Greater Inland Empire (CAI-GRIE) legislative support committee (LSC) was honored with a chapter excellence award in the Chapter Management & Development category. Accepting the award on behalf of CAI-GRIE were LSC chairperson and CLAC delegate, Nancy I. Sidoruk, Esq., CAI-GRIE past-president Robert Riddick, and CAI-GRIE executive director DJ Conlon. Dennis C. Abbott, CAI National President; Robert Riddick, Past-President of CAI-GRIE; Nancy Sidoruk, Chair of CAI-GRIE Legislative Support Committee; DJ Conlon, CAI-GRIE Executive Director; and Tom Skiba, CAI National CEO. efforts. Success in reaching, or even exceeding, CLAC fundraising goals is an extremely visible annual financial initiative for CAI-GRIE. With respect to this initiative, the CAI-GRIE LSC seeks to meet or exceed CLAC expectations and establish a multi-year history of profitability, while at the same time establish a foundation of excellence in legislative-related activities and programming that makes volunteer, grassroots and financial support of CLAC an easy decision to make. For more information about the Fourth Annual Evening at the Winery on May 17, and to register, visit www.cai-grie.org. 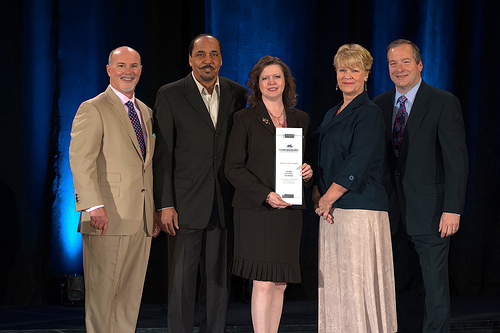 Congratulations to CAI-GRIE and its Legislative Support Committee on its national award! All politics is local and GRIE does it right! Great volunteer efforts, organization and… results! Congratulations all. It makes a big difference here in the Capitol.